Is a New Urban Radio Syndication Show in the Works for Sheryl? 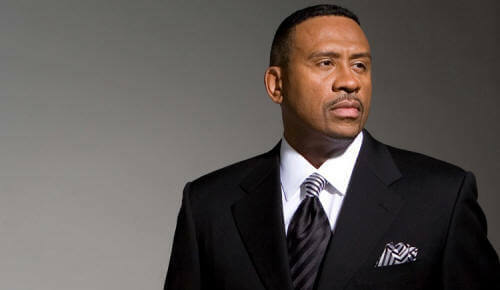 The new show will launch on The Juice during the month of August which also airs The Steve Harvey Morning Show. FROM The Juice FM 107.3 Sheryl Underwood heats up drive-time as her radio show “Sheryl Underwood In The Afternoon” joins the program line-up of The Juice FM 107.3 (WJUC) in Toledo, Ohio. 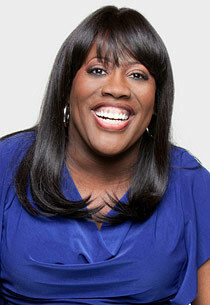 “Sheryl Underwood In The Afternoon,” begins airing Friday, August 2 on The Juice FM 107.3 (WJUC) from 3pm – 7 pm daily. “Sheryl Underwood In The Afternoon” gives listeners’ an all-access pass to entertaining and enlightening conversations about news stories and issues of the day. Sheryl and the crew, broadcasting from The Juice studios, will be live the entire month of August, putting their particular spin on the topics people are talking about. Tisha Lee says, “To be able to work with someone like Sheryl Underwood is amazing! This is not only an exciting opportunity but it’s also a game-changer for radio as a whole.“ “Sheryl Underwood In The Afternoon” will be a refreshing change for radio. The hope is that other radio markets are open to sample the show. -This move indicates that radio syndication company Premiere Networks is giving Sheryl a test run at one of the Steve Harvey show affiliates. Premiere Networks, a division of Clear Channel Media and Entertainment, is the number one radio syndication company in the country. Among their programs besides Steve Harvey is Power 105.1's The Breakfast Club Weekend Show and The Keith Sweat Hotel along with the Top 40 morning show The Elvis Duran Show. However we are pretty sure that if a Sheryl Underwood show is given the go ahead, it would be more geared towards an urban adult contemporary (Classic Soul and R&B format) audience rather than an urban radio/Hip Hop audience.